Arm Conditioning: The Importance of Warming Up - the4pointer.com | Real Hunts. Unreal Stories. When I was younger I played sports in high school and every year there was a particular aspect that I hated the most – CONDITIONING! It’s hard work and to me it wasn’t fun. Long runs, wind sprints, and endless amounts of pushups all added up to what I disliked the most. On the other hand, there was a certain amount of enjoyment I felt after it was over because I knew I would be in tip top shape for the season. 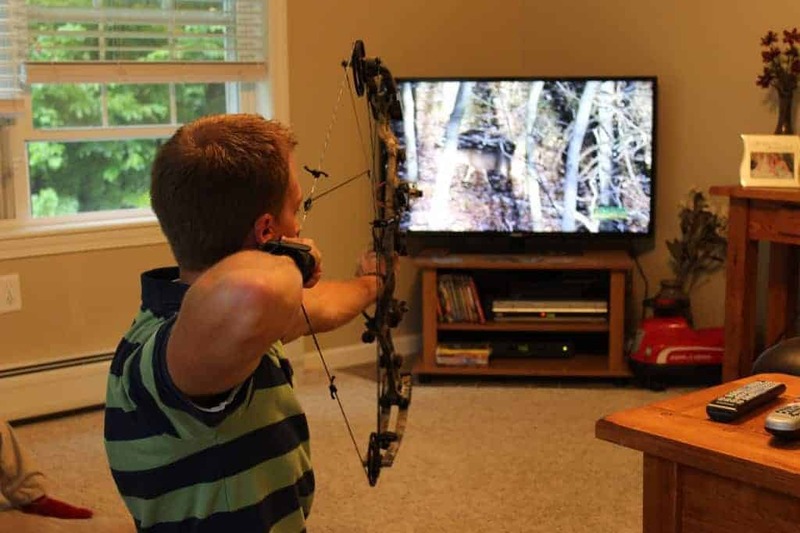 As silly as it sounds, conditioning your body before you begin shooting your bow each year is just as important. If you are like me (I know a lot of people who hope you’re not), you don’t shoot all year round. You would like too but work, family life, and the inconvenience of not being able to shoot in your backyard prevent you from being able to do so. 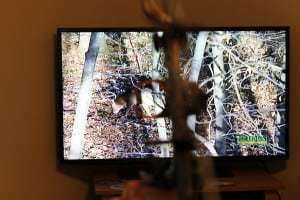 That said, there is a month or two left before the season and now is the time to get your bow out in order to get tuned in before opening day. Part of the problem with taking such a long layoff is that your muscles aren’t in shape and tire easily after a few shots. This can lead to some bad habits. 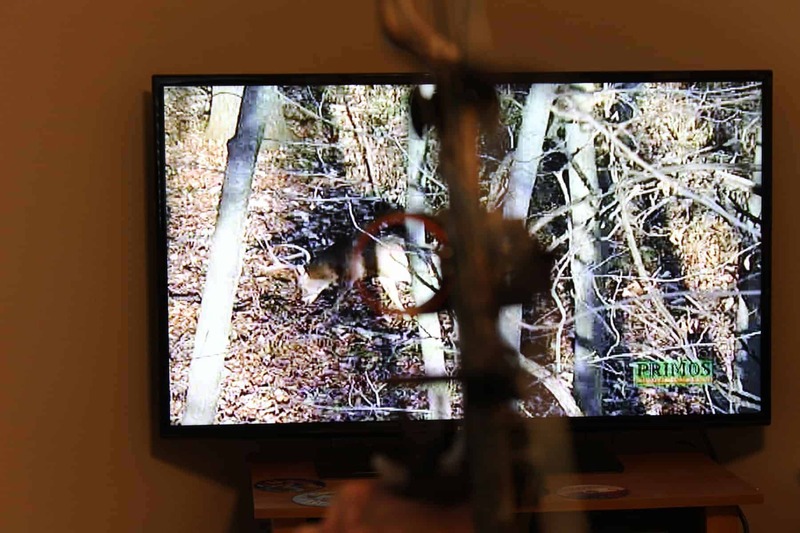 The scenario plays out like this: you just dug your bow out and are itching to shoot. You arrive at the range and are having such a good time that you don’t want to stop. Thirty minutes later your arm is dead tired yet you keep shooting because it’s so fun. By the end of it you can hardly hold the bow steady and you’re flinging crazy shots. You begin to jerk your shots and compensate with other muscles that should have no part in the process. That’s a recipe for disaster that could take a long time to remedy. So, what do I do? I thought you’d never ask. I aim it at the television of course. Each year when I get my bow out of storage I strengthen my muscles by pulling my bow back in the house and holding for a minute each time before I ever hit the range. I do this every other night for a week or two. It is very important to note that I Never, Ever, EVER put an arrow on the string when I do this and neither should you. The reason I do this is so I can strengthen my arm and focus on my form without having to worry about getting a shot off before my arm gets too tired to hold steady any more. By the time I hit the range for the first time my muscles have a least been exercised a bit and I’m more comfortable as a result. Perhaps I’ve even staved off some bad habits. Just for fun I put in a hunting DVD and hold a pin behind the shoulder of a giant buck while conditioning your arm. It may be the only buck I see through my sites all year but let’s hope not.